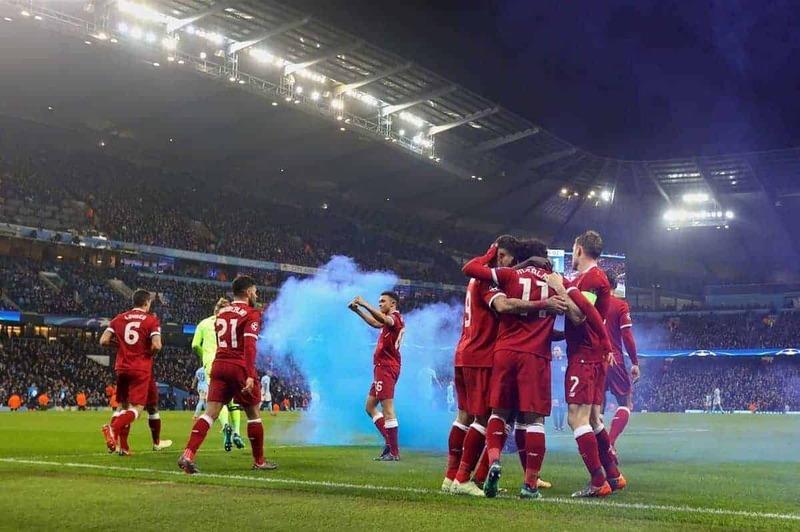 The difference between Liverpool’s 5-0 loss to Man City in September and their 5-1 aggregate win in April highlights the significant progress made. City like to think they can buy and sell anything. The value of not conceding an away goal in the first leg was priceless though. We gave City the ball for 90 minutes. During the second half at Anfield and the first half at Eastlands we largely allowed Pep Guardiola’s side near-exclusivity of the ball. Have it. See what you can do with it. In the end, City could create pretty patterns but failed to deliver a punch of real substance. 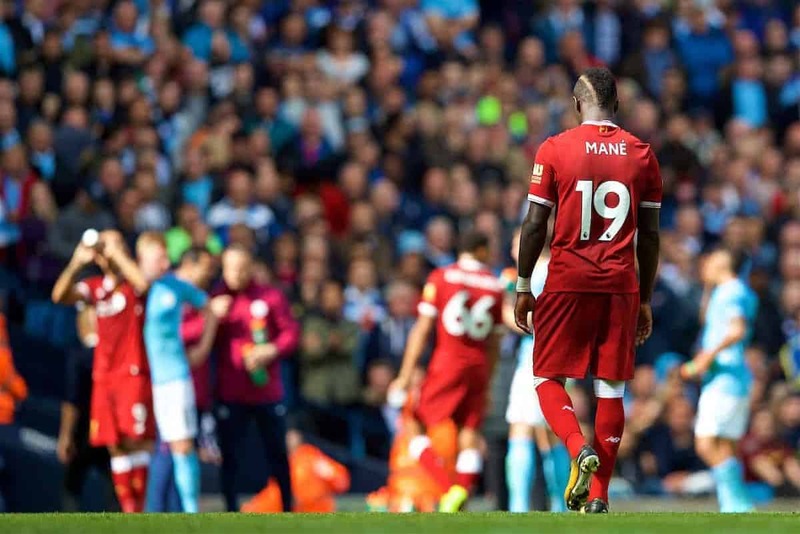 During the first half at Anfield and the second half at Eastlands Liverpool toyed with their opponents, while during the second half at Anfield and the first half at Eastlands they seemed to play with their opponents’ minds. This shouldn’t be seen as a flaw of City’s, but instead the hallmark of a job well done by Liverpool. How Long Ago Does That 5-0 Feel? I know I said back in September, in the wake of that Premier League capitulation to City, that we’d beat them at some point this season, but I didn’t expect us to turn them over three times. According to the rather brilliant Richard Jolly, Liverpool have now scored 21 percent of all the goals that City have conceded this season. Now I’m not stats-centric, but that one even provoked a retweet out of me. 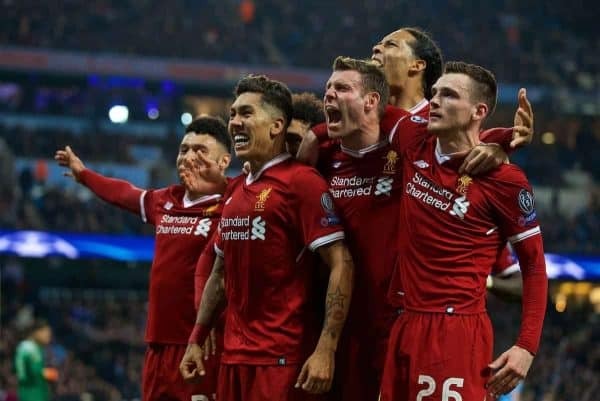 It’s only right and proper to revel in what we’ve achieved in these quarter-final clashes with the champions-elect, so just stop for a minute to consider how good of a side that Liverpool have ushered out of the tournament. Guardiola has coaxed a special brand of football from his team this season. Yes, all that talk of going unbeaten and of winning a quadruple has proved to be outlandish, but this is still a great team. City fans will look back for generations to come and struggle to countenance that they ended the 2017/18 campaign with just one trophy, no matter how considerable that trophy is. Liverpool fans old enough to have lived through the 1978/79 and 1987/88 seasons know how that feels. City will have other seasons where they collect more trophies than they will this time around, but with a brand of football that doesn’t live up to what they produced this time around. Football can be weird. Liverpool won this one 5-1 on aggregate. 5-1. That one goal that Guardiola’s side procured should have been disallowed. Yet, how much did we ride our luck? 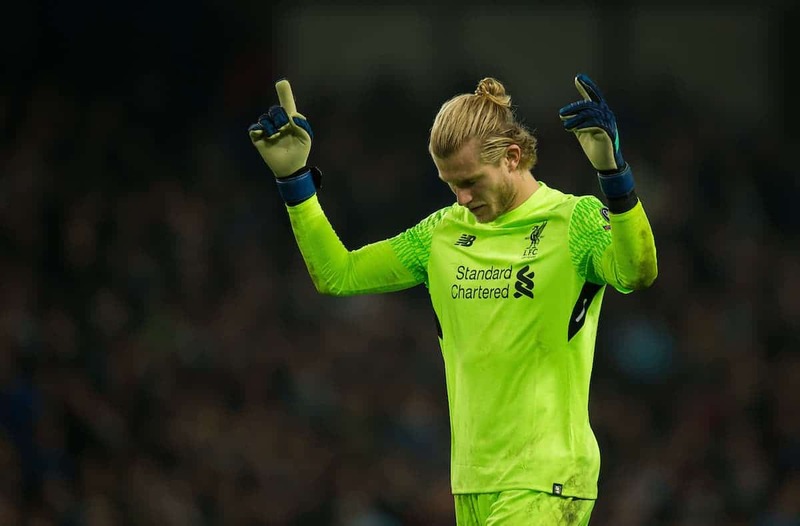 Penalty shouts, posts hit, goals disallowed, but no saves of earth-moving purpose to be made by Loris Karius. 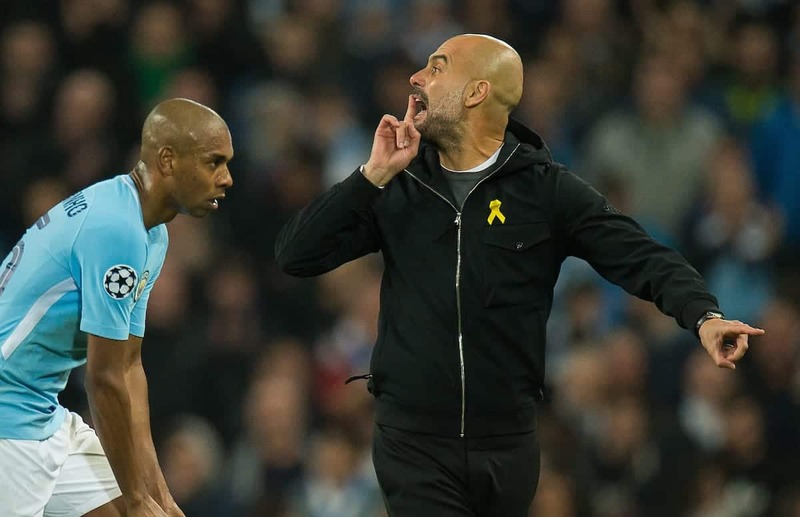 Guardiola lost his composure and he was sent to the stands. It was inevitable that we would score at Eastlands. We knew it. They knew it. Similar to when we went to Old Trafford in the Europa League. There was no way we wouldn’t be picking off an away goal in Manchester. 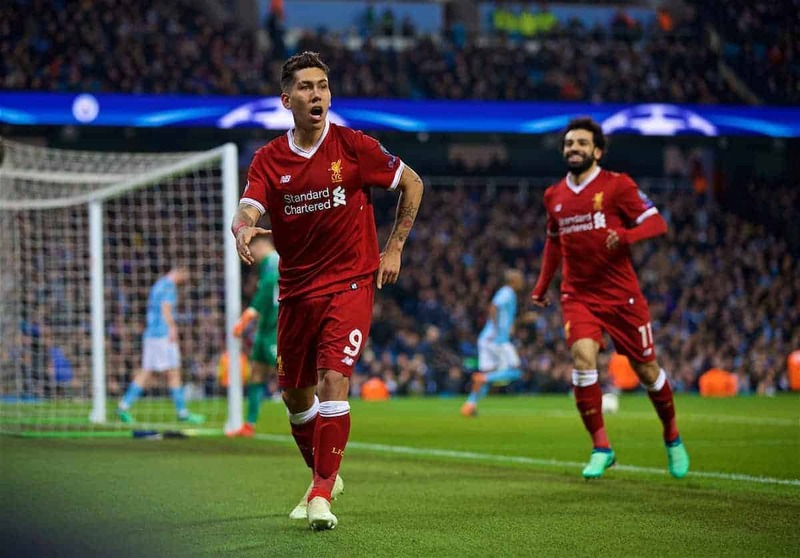 It was Philippe Coutinho then and it was Mohamed Salah now, with the added cherry on the cake delivered by Roberto Firmino. The general feeling I had for the first leg was that we could win, but we might not. For the second leg I felt that while City could come back, they weren’t going to. We are a different Liverpool to the one which rolled over and played dead for them back in September. There was a great deal of character in the way that we didn’t panic after conceding such an early goal. The first half was heavy going for Salah, Firmino and Sadio Mane. 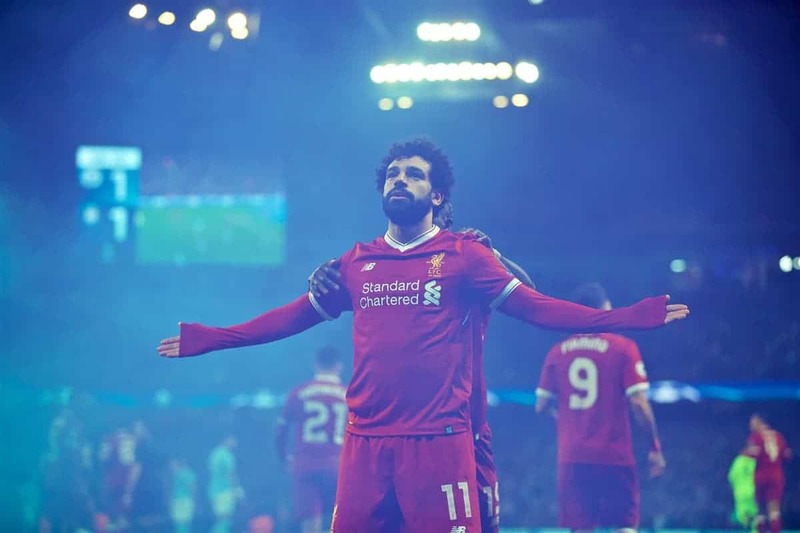 When Salah chipped in the goal which killed off any realistic spectre of a City comeback, the light returned to our game. More time on the ball came our way and space was in abundance. These two games were very unique in their composition. History will point to a scoreline that doesn’t tell the wider story. Can Liverpool Realistically Win the Champions League? This is a question posed quite rapidly, each and every time we have overcome a hurdle on this liberating and intoxicating run to the semi-finals. I could see the same question still being posed as Jordan Henderson is passed ‘Old Big Ears’ in Kiev, should it come to it. You don’t get this close to the final without having a realistic chance of winning the thing, but I’m happy to embrace the continued underestimating of Jurgen Klopp’s steadily evolving side. Roma and what is likely to be Real Madrid and Bayern Munich will lay in wait in the semi-finals. Three names that offer evocative images of legendary European Cup nights for Liverpool, be it the 1984 final, the 1981 final, or the 1981 semi-final. None of them will want to face us. We should fear no one. That’s not to say we will beat them. We recalibrate for a new challenge. We can win, but we might not. It is this concept which powers the electricity upon which such legendary and winning European deeds are so often lived and relived.